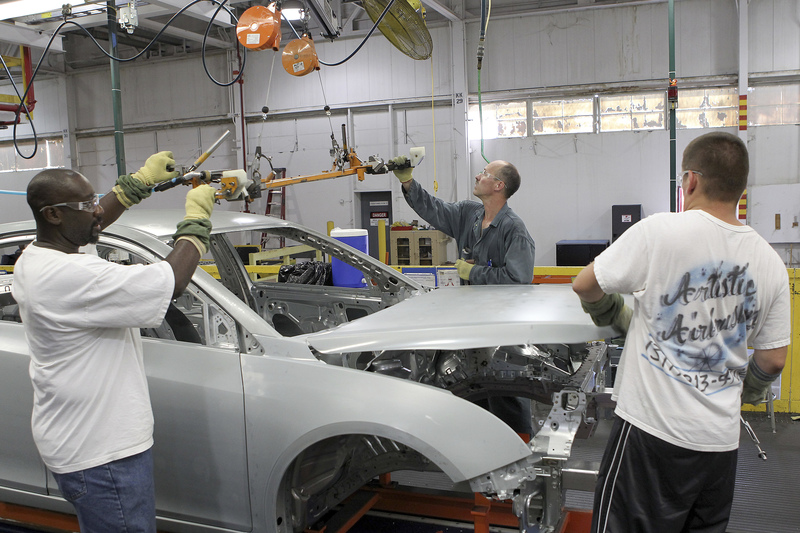 Workers install parts on the new Chevrolet Cruze car as it moves along the assembly line at the General Motors Cruze assembly plant in Lordstown, Ohio July 22, 2011. U.S. President Donald Trump on Dec. 4 met with executives from German auto groups Volkswagen, Daimler and BMW. The White House said in a statement that Trump “shared his vision of all automakers producing in the United States and creating a more friendly business environment”. Volkswagen’s chief executive on Dec. 4 said the German automaker was building an alliance with Ford Motor and might use the U.S. group’s plants to build cars. Herbert Diess said the company was also "considering building a second car plant" in the United States.